… You need to be able to interact and engage with people in a masterful way. What do you think? Yes or no? Do you think the ability to communicate, to inspire, to persuade, to motivate, and uplift people is a skill that you could learn if you had the right guidance? Once again… What do you think? Yes or no? The art of masterful speaking and storytelling is a skill that can both transform your life and the life of others, AND it’s a skill anyone can learn. And no one knows this more than Lisa Nichols. 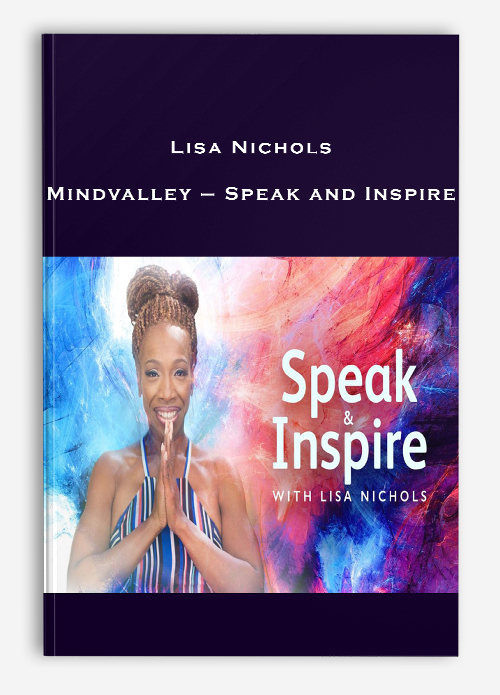 The Day Lisa Nichols Found Her Voice — And How It Saved Her Life And Inspired The World. With less than $12 in her bank account, Lisa was a single mom who had barely had enough money to even buy pampers for her baby son. With close to nothing to her name, the odds of getting out of poverty was stacked against her. The only thing she had at the time, something she could call her own, was that she had a voice. In a moment of sheer desperation, she stood in front of her bathroom mirror. She imagined herself in front of thousands of people delivering a speech. She didn’t leave out any detail. The laughter. The tears. The soul-stirring moments that would leave her audience at the edge of their seats. This vivid image playing in her mind became her message and mission. The right words, spoken in the right way, at the right time could change the world. For the last 17 years, Lisa has touched the lives of millions around the world with her words. From being featured in the hit 2007 movie, The Secret, where she was voted the #1 most requested teachers among the entire cast. She has inspired people of all walks of life into taking action they would never have taken otherwise. Imagine… Lisa was able to go from a life of severe struggle and scarcity to becoming the success she is today, and become only one of two African American women to take their company public. And it all began when she mastered the art of speaking and inspiring. Yes, our words are powerful. More than most of us can imagine. But sadly, many people never get to experience the sort of impact their voice can have on the world. In fact, for most people, the very idea of speaking up in a public can bring up bouts of anxiety, overwhelming nervousness, and even fear. In survey after survey, people have been reported to fear death more than they fear public speaking. Many people would rather face death than face their fellow human beings and speak their mind in public. If this rings true for you, you’re not alone. Millions of people get paralyzed from fear of judgement, doubt, and alienation, before they ever get the chance to share what is truly in their hearts. And the sad reality is that this is often the biggest loss any of us could face on any given day. As social beings, we all have a deep innate yearning to communicate. To connect. To translate into words what our soul wants us to express into the world. Restraining our voice is as good as going against our very own nature. But the only thing this advice has ever done for anyone is to stifle their voice when they needed it the most, and rob the world of a message from the heart that could be the inspiration someone else needs. Left unchecked long enough, it becomes easier and easier to convince ourselves that maybe… Our own voice really doesn’t really matter at all. The truth is: Your voice matters. Not only because of the potential impact it could have on someone else’s life, but also the impact it could have on yours. 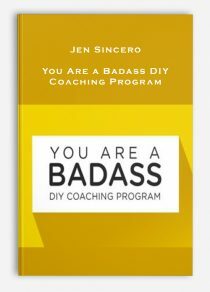 A methodical, fun, step-by-step journey of self-discovery that will help you unearth your voice, develop your message, and craft your story that will inspire your audience. Each day of the program, Lisa will reveal the tools and techniques that has made her the global public speaking sensation she is today. 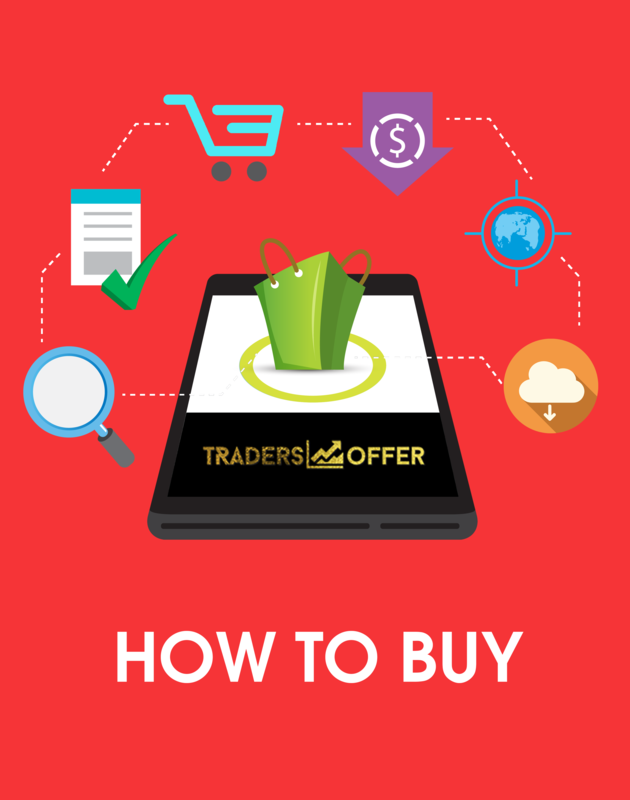 And as you incorporate them into your daily interactions, you will quickly find your confidence growing in spades as more and more people gravitate towards you and rally behind your message and mission. The traditional way of taking courses is: you invest in a course, and you study it by yourself in your own time for about 8-10 hours. Some might do it over a weekend, and some others might stretch it out over several months. But you’re doing it by yourself, and it lacks accountability and excitement. 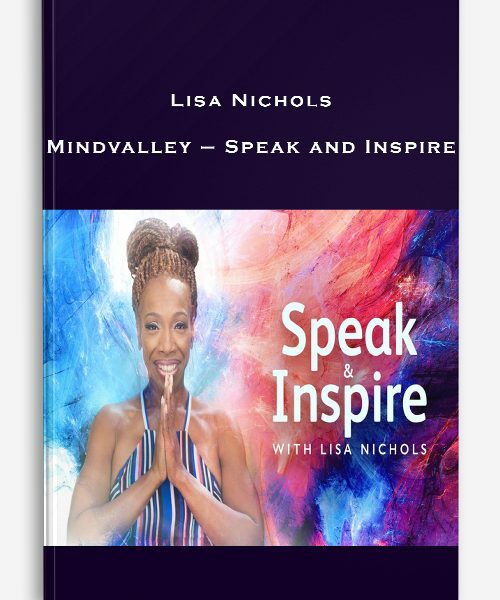 Speak & Inspire is run on Mindvalley Quests learning platform, so what happens is you’re going to go through the program along with hundreds of others under real-time guidance from Lisa Nichols. This particular learning platform launched in November 2016 has so far doubled student completion and engagement rates. As you go through the program, you will quickly unearth a unique and powerful message embedded deep in your heart which can’t help but want to share with the world. With that, you will gain the courage to speak out and stand up for the causes that matter to you. By using the techniques Lisa shares in this Quest, you will automatically become a more magnetic communicator and watch the people around you hang on to every word you say. As you continue to do the daily exercises, you will gain a level of clarity of your most authentic self you never experienced before. 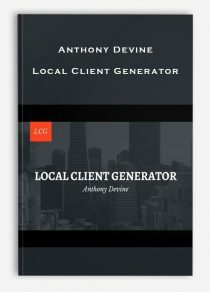 You’ll also discover that this is the key to creating deeper levels of connection with your audience, which will earn you their trust and loyalty. Watch people fall madly in love with you as you go beyond just conveying information and instead sharing emotion-driven stories that captivates the hearts and minds of your listeners from start to finish. Dust off the nervousness and anxiety that most people feel before speaking in public like dust off your shoulder, and you’ll start carrying yourself with a level of confidence that demands the attention of anyone you talk to. Whether you plan on speaking on a public stage or not, you will find yourself more comfortable to (and even willing to) speak to any crowd in a way that keeps them enthralled… Regardless of the topic. Learn how to operate from a place of great care, compassion and understanding, so you can better serve the needs and desires of your audience. Speak & Inspire contains tools, techniques and exercises that build on top of each other as you become a more confident and inspiring speaker. And it contains four parts. In this period of Speak & Inspire, you’ll first take a look inwards as you explore your unique gifts and talents as a speaker by discovering, owning, and using the power of your voice. Learn why language is one of the most powerful connectors on the planet (as well as one of the quickest disconnectors), and how your voice is the doorway to your greatest needs and desires. Discover a simple tool to measure the power your voiceso you can quickly tell just how much of an impact you’re having on the people you engage with. Master the art of enrollment and understand how to carefully formulate your words to create value in the lives of everyone that comes in contact with you. Use the Mirror Exercise to help you uncover your authentic voice, which will allow you to connect with your audience of much deeper levelthan you ever thought possible. Understand the essence of a truly heart-thumping, soul-stirring story, and how to craft a mesmerizing story(even if you don’t think you have a story share) that will touch the heart of any listener, leaving them more inspired and motivated. How well are your words landing with your listeners? In this part, Lisa will give you a framework that will help you identify every aspect of the people you want to touch so you know how to connect with your audience at a heart-level and inspire them to take action. Use a simple technique to liberate yourself from the overwhelming fear and anxiety that paralyzes the vast majority of people before they speak, so you can carry yourself with effortless confidence in front of any sized audience— whether it’s one or 1000. Get crystal clear about how you want to influence and impact the people you interact with. Doing this one alone will automatically unlock a new level of passion and conviction for the causes that matter to youso you can connect with your audience in a deeper, more meaningful way. Discover the crucial difference between being confrontational and being “care-frontational”, and how a minor shift in intention can diffuse and heal any communication tension you may havewith the people you care most about. Experience a powerful exercise that will quickly pinpoint the sort of speaker you wish to be— whether it’s informational, motivational, transformational, and more. Learn how to go far beyond just educating, and instead start inspiring so that your listeners can’t help but pay attention(and will continue to seek you out again and again and again). In this third part, Lisa will train you in a range of powerful techniques that has helped her become the world-class speaker she is today. Just using one of her techniques will instantly level-up your speaking ability. Use them all, and you’ll be in a league of your own. Learn how to get your audience to trust and open up to you by creating a “safe environment” — free of judgement or repercussion — so you can start engaging withan audience (rather than talking to audience). Discover the three techniques that will transform your audience from passive listenersto active listeners so that whenever you speak, they will be so deeply immerse in your words that nothing (not even a Facebook notification on their phone) will distract them. Start using your body language to strengthen your message and amplify the impact your words.Often, it’s the smallest of gestures that can make the biggest difference in how well your message is received. Use the “Echo, Repeat, Respond” technique to instantly create a space where your audience feels like they are an activepart of your conversation. This is the key to building trust and loyalty. Uncover your “Valley Journey” — This is one of the most, if not the most, powerful technique to connecting with over 98% of the people who listen to your message.Do this, and you’ll not only find your most powerful message, but you’ll also create a wild following from your audience. Learn how to incorporate all the techniques into a single, short story, and watch how quickly people fall in love with you and your message. 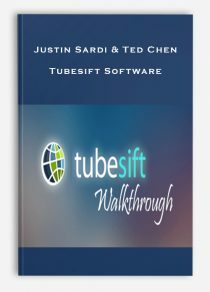 In the final stretch of this Quest, you’ll learn how to tie all the techniques you’ve learned together and how to incorporate it into any talk, speech, or presentation you give for massive impact. 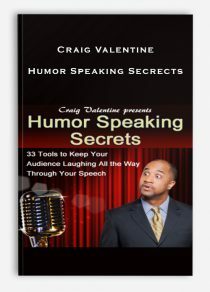 This applies for both public speaking and non-public speaking environments. Learn how to increase your level of connection AND increase your ability to enroll and engage your audience. Discover the 6 key elements of non-public impactful speakingto improve your relationships with your loved ones the people that most to you. 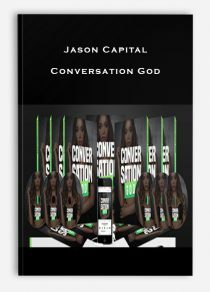 Learn how to impact people across multiple platforms so you can touch people across the world,and how to do it while staying true to your uniqueness and authenticity. Incorporate the right kind of music to add a new level of impact to your talksso you can solidify your message, evoke a positive emotional response, and cement your content into the hearts of your audience. Along with the program you will get a powerful visualization exercise called “Dreams Unlocked: You The Master Speaker” absolutely FREE. This visualization will be included in the warm up content of the quest and will be available to you as soon as you buy the program.